When Holly Golightly gazed at sparkling gems and dripping pearls at Tiffany’s, she probably would have loved to take a few pieces home with her to try them on and see if it was worth the hype. This may have been wishful thinking decades ago, but now in the age of e-commerce and express shipping, there’s a jewelry site making that possible. 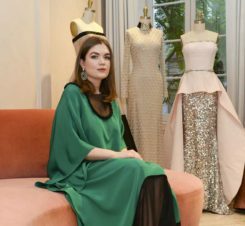 Recently launched, Memo provides a complimentary loan for any of the pieces it offers, meaning that you can wear the designs you’ve been coveting before making the full commitment. According to Memo, the site offers a three-day test-drive to see if those statement earrings or that dainty gold ring works for you IRL. And with shipping costs covered both ways, the experience is like a fitting room for jewelry in the comfort of your home. That’s right—you could try on luxurious jewelry in your pajamas if that’s your thing. This concept was launched around a tradition that many jewelry stores have been offering for years—only lending pieces “on memo” to their top clients. 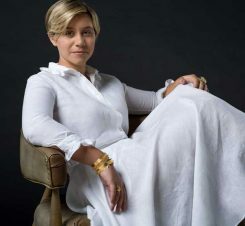 However, founder Debora LaBudde says she wants every woman to be a valued client by giving them a personal connection to the jewelry and its designer. Scroll down to see some of the gorgeous pieces Memo offers from designers like Lalaounis, Foundrae, Bahina, Gurhan, Pippa Small, and Nicole Landaw. Then feel free to take a few special pieces for a spin before deciding which are for keeps. 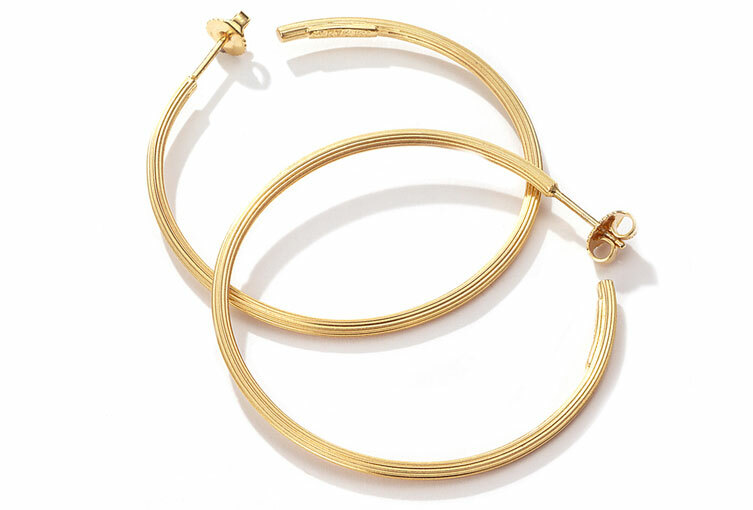 Lalaounis Hellenistic Fluted Hoop Earrings ($1980) Ancient Greek columns inspired these classic gold hoop earrings. Gurhan Delicate Hue Cabochon Opal and Diamond Ring ($5000) This magical opal ring is fit for a queen. 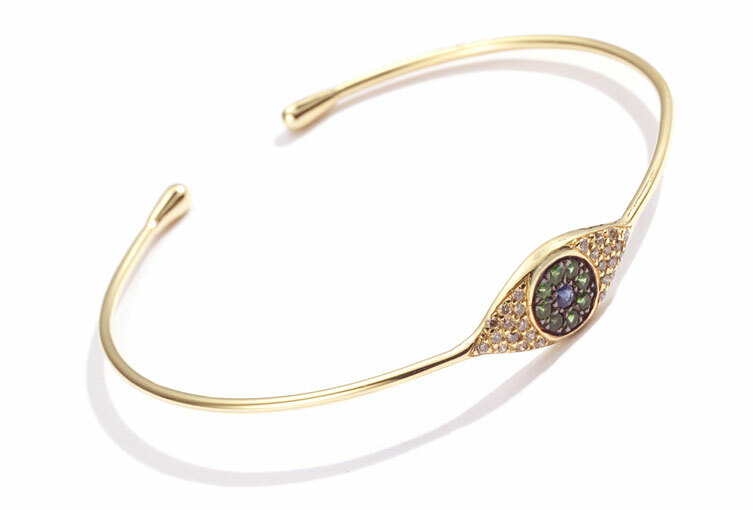 Ileana Makri Cat’s Eye Cuff ($2770) Memo says this design is an “ancient symbol of protection,” but if nothing else, it’s also super pretty. Shop the Ileana Makri collection. Dana Bronfman Double Open Ring ($705) This can make for a pretty wedding band… or any band at all. 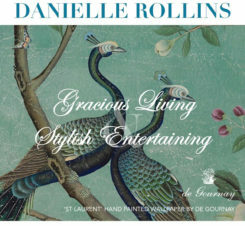 Shop the Dana Bronfman collection. 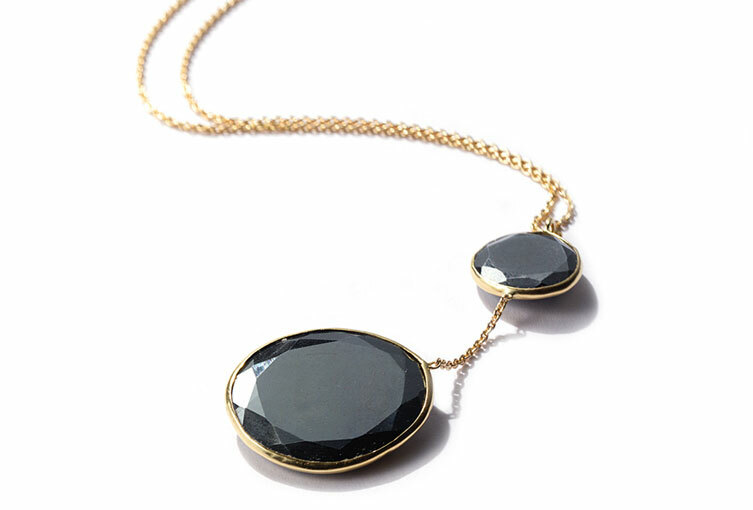 Pippa Small Hematite Two Stone Necklace ($3040) This 18-karat gold-and-hematite necklace was handcrafted in Rajasthan, India, by a team of skilled goldsmiths and gem cutters. Shop the Pippa Small collection.